Scabies found in pets like cats and dogs is called Mange. 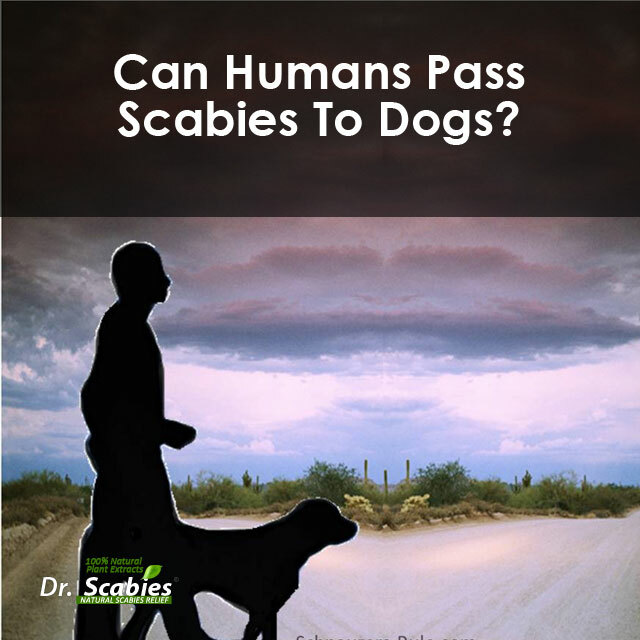 However, it cannot trigger a Scabies infestation in humans. The feline scabies and canine scabies, contrary to the popular belief, are not caused by the mite that causes Human Scabies. Although the mites can transfer from the pet to the human (or the other way round), but they are incapable of reproducing in the human body. In other words, the mites that come from the pets die a natural death without causing any serious medical trouble. The same holds true for Human Scabies; they might cause a mild bout of itching in the pet but are unable to reproduce in the body of the pet. Scabies mites are known to spread by prolonged skin-to-skin contact that allows the mites to crawl form one victim to another. Sharing of personal items like towels, linen and clothes can also be blamed for the spread of the mites. The immediate family members, sexual partners and work groups are most prone to get the infection. It needs to be remembered that the Scabies mites cannot jump or fly; they can only crawl under and on your skin. Scabies is often seen in inmates of a prison, people living in an institution, crowded public places and at child care service centers. Reliable products like Dr. Scabies are known to help eradicate the Scabies infection. This product, it is believed, is highly effective in combating human scabies due to the presence of the active sulfur ingredient. Dr Scabies products have no side effects and are able to break the lifecycle of the mites to an effective degree. Mange (or animal scabies) may not be a cause of concern for your family but your pet sure need to be treated for it. This entry was posted in human to dog scabies, Scabies Infection, scabies on dogs, scabies solution, scabies treatment. Bookmark the permalink.